Lessons are 1/2 hour, once a week, or as arranged, generally held after school or during the day for adults and home schoolers. 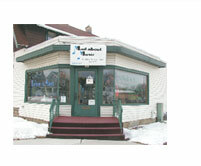 All lessons are private, except for group piano and rock band offered during the summer. The tuition is $65 paid in the first week of the month. A two week notification of cancelation is required. Students are required to have their own instrument, a notebook, lesson book, and encouraged to have a tuner. All accessories may be purchased at Mad About Music. Students will be taught how to take care of their instrument. Keyboards are available to rent for an inexpensive way to get started on piano. Lisa Heili began studying the violin in 5th grade right here in the Manitowoc Public School System and has been playing for 37 years. She began learning to play guitar at age 16 and has been playing liturgical music in most of the years since then. She currently runs the praise and worship band, AltarSound at St. Francis of Assisi Parish in Manitowoc doing vocals, guitar, and occasionally bass guitar, and plays guitar and sings with the youth mass band at St. Peter the Fisherman in Two Rivers. 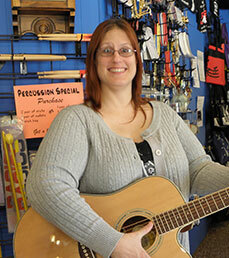 In the past few years Lisa has taken up the bass guitar and the ukulele. Lisa enjoys teaching and would love to introduce you or your child to the joys of music. 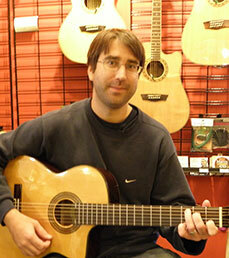 Trent Machut has a Bachelor of Music in Recording Technology from the University of Wisconsin Oshkosh, with an emphasis in classical guitar. He has been playing guitar and drums for over 15 years, and has been teaching since 2009. Trent has performed and recorded with rock, punk, and blues bands as both a drummer and guitarist, and is currently in the process of working on a recording project involving original work. Trent teaches guitar and drums at Mad About Music, and enjoys working with students of all ages. Rebecca Markvart started playing guitar at age 14. Graduated from Silver Lake College with a degree in psychology and in 1998 from Lakeshore Technical College with a degree in Police Science. She formed a trio, “Happenstance,” and played in many small venues. Becky has studied classical voice and found she loved to write songs as well as sing. 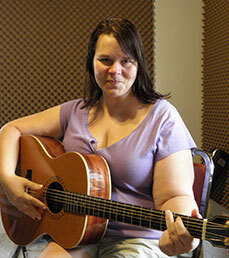 She has been teaching voice and guitar since 2007. We love her humor and sensitivity with younger students.